A river catchment can be defined as the area of land that drains to a river. Land use within a catchment has a direct influence on the ecological characteristics of the associated river. There are eight river catchments selected for the Pearl Mussel Project. 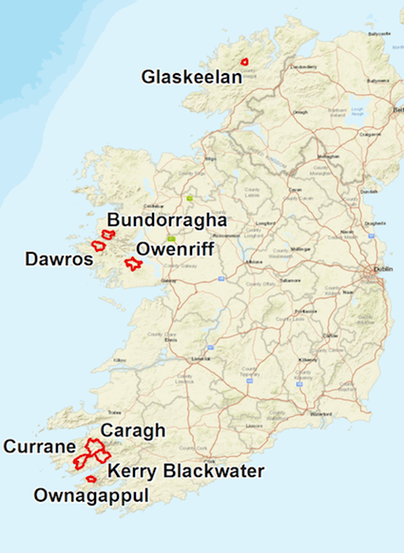 These catchments were selected due to their importance in supporting the largest remaining freshwater pearl mussel populations in Ireland and Western Europe. A summary of each of the river catchments is presented below.